A comfortable retirement. We all dream of having enough money to live the way we want in our golden years. Getting there is the tough part because nobody is really sure how much they need to put away. If there were a crystal ball of some sort that could tell us what our life span was going to be then it might be easier to plan ahead. Unfortunately, no such thing exists so we are left with predictions and educated guesses. The good news is you can rely on these methods for determining a realistic financial future. However, you will need to do some careful planning. The earlier you get started, the better off you are going to be in the long run. When you start planning for your retirement, it is going to take some wide-ranging preparation to ascertain your spending habits and routines. Additionally, and even more important, you need to make some hard and fast decisions about what your retirement is actually going to look like. Planning is just that, which also means you may need to readjust some of your thinking as time goes by. Lives change, circumstances change, for better and worse in some cases. Hence, staying fluid about any obstacles will enable you to roll with the punches easier along the way. As long as you never lose focus on your goals through thick and thin, you will get there eventually. What about those goals? It is quite possible you may not have them in mind yet. Therefore, it is time to begin thinking about what you want to do when you are no longer punching a clock or putting in those long hours at the office. You may not know how long you are going to live. Yet, you can certainly make plans for how you would like to fill the time you have left on this planet. Perhaps there is a hobby you have always wanted to pursue. Maybe you’ve wondered what it would be like to travel the world, or you might just have your heart set on buying a boat someday. Whatever it is you have in mind, start to make it into a reality by thinking about making some financial moves to help you achieve these dreams. A comfortable retirement means having the resources to do the things you want whether it is seeing the world or seeing your grand-kids. You may even want to look into the best states to retire. Additionally, if moving is in the cards, you will need enough money in the bank to do it right. Your future plans are not the only factor you will want to consider as you squirrel enough away for retirement. As we get older, we face an uncertain medical future. The body can start to break down and show those signs of wear and tear that require a doctor’s attention. That means you will need to have adequate resources to cover your medical bills. They could pile up quickly if you run into a serious health issue. Insurance and medical costs are a very real part of planning retirement. They should be made part of the equation for securing retirement assets. There are no hard and fast answers to saving for retirement. That is because each of us has different needs and goals when it comes to money. However, we do all have one thing in common. Each of us needs to come up with a practical financial goal that represents a comfortable retirement. It still comes down to guesswork. However, determining that goal can be done by following a few necessary steps that will help make finding that number easier. It starts with some self-auditing of your financial situation and reflection on your future plans in retirement. Do you plan on exiting the workforce completely, or do you see yourself remaining employed, yet albeit in a much more reduced role? The amount of income you can rely on as you get older will play a part in how much you need to save now, almost as much of a role as your future plans for retirement. Social security is one piece of that puzzle but you may have other sources of revenue to rely on. If not, that will affect how you plan to save now. Do not forget taxes and fees on the money you plan to save. Those are also a very real facet of your future savings strategy. Are you investing and is it enough? 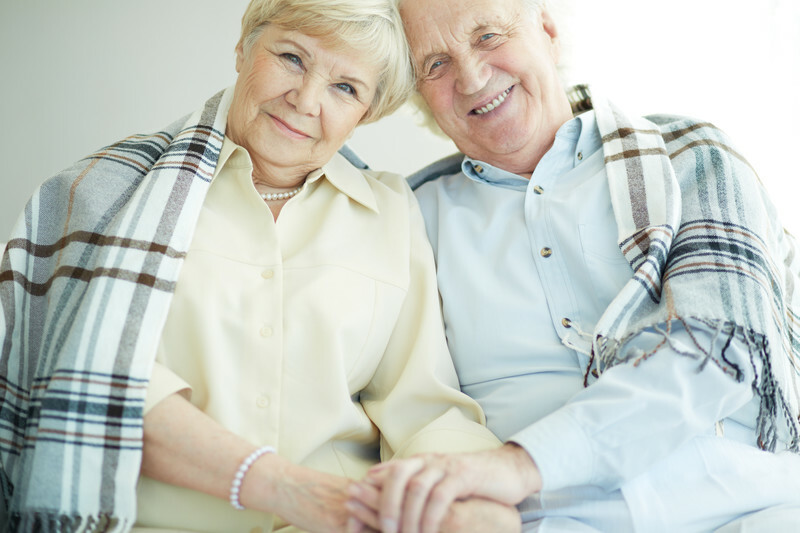 There is a lot of ground to cover as you prepare for your retirement, free of financial hardship or worry and filled with nothing but good times and wonderful memories. That is the purpose of this guide. It should serve as a way to get you started on the road to retirement savings. We have done this by pinpointing the areas you need to be focused on as you develop your plan for the future. Follow these simple steps and you will find yourself well on your way to reaching your financial goals. The way to plan effectively for tomorrow is to start with today. That means making a complete assessment of your current financial situation. Take a good long look at your assets and how you are using them. Have a seat and take an inventory of your spending habits. Make a list of your monthly expenditures and debt obligations. Note anything that requires money to leave your household, and include it all. From your rent or mortgage payments to any outstanding loans that you are paying off. Make sure to include even the smallest expenses like your monthly Netflix subscription costs. If it is an expense that you are expected to make, it goes on the list. Don’t forget other necessities such as food and gas. Also, include the money you spend on entertainment and recreation like eating out or going to the movies. These are things you plan on doing even after you are retired, right? Put this tally together and include everything, even those payments that might come to an end by the time you are retired. Those additional monies can be used toward an emergency fund in the event you have a cash crunch at some point. It is always good to have something put aside in case of the proverbial “rainy day”. What about those payments that are routine but not always the same amount each month, like the gas or electric bill? Figure an approximate average and use that figure for your calculations. Okay, so you have a good idea of what you spend every month. Now it is time to make a list of all your income and assets. List everything you can rely on now and in the future. That includes wages and salary, holdings and investments, Social Security payments, or anything you can count as income. Add it all up and that is the number you are going to work from when it comes to the next list. You may not know what you want to do with the rest of your life quite yet, but this is the time to start figuring it out. Do not worry about making a hard and fast commitment to doing one thing or another. You only need to come up with at least a few ideas about what your retirement might look like down the line. The reason for this is to develop some sort of picture as to what you are going to need monetarily to do the things you want. If you know already, then that is good news. If not, jot down a few things you may have been pondering at some point. Then, use those as a placeholder for the purposes of this exercise. Now that you have something to work with, get an idea of how much it is going to cost you to do the things you want. Be sure to look ahead. Take inflation and the rising costs of just about everything when you account for the money you will need to live a comfortable life. Do not forget to factor the costs of healthcare into your future plans. That means insurance plan premiums. It includes any out-of-pocket costs that might come up in the event you get sick or develop a serious medical issue. These expenses are likely only estimates. Therefore, you should do a little homework. Investigate the costs of Medicare and other coverage options that you could be looking at as you grow older. Add up your expenses now and in the future. Compare that number to the one you calculated in tallying up your income and all your assets. How do they look side by side? Perhaps you have more money going out than you have coming in. Maybe you are looking at a surplus of resources that should more than easily accommodate your present and future expenditures. If it is the former, you have some work to do. If it’s the latter, well congratulations, your financial future looks rather comfy. If you are among the group who has work to do based on the numbers, then at least you know what is ahead in terms of devising a game plan for saving. That will have an impact on when you can realistically retire. How far off are you? Do you need to put together a long-term strategy for saving, or are you just a few years away from reaching your financial goals? That question may be answered based on how much and how long you have already been saving. It is possible you have not set aside a dime yet. If that is the case, don’t panic. You still have opportunities for getting to your goal. 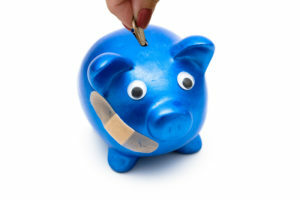 It might just require you to take a more aggressive and proactive stance on saving. You certainly have plenty of choices when it comes to finding the right savings vehicle for your situation. There is a variety of funds and investment accounts to choose from. However, the most common and widely popular method for saving is through a 401(k). Many employers offer their personnel a 401(k) account to help them save for retirement. Some people take this avenue for saving. They might even combine it with an investment retirement account (IRA) or a Roth IRA. They have different rules and regulations than the previous investment formats. When signing up for a 401(k) plan, you are putting money into an account that is meant to be accessed when you are much older. Plans that are offered by companies to their employees are funded with cash that is automatically withdrawn from every payroll check. How much is taken out is up to you. It does take some savvy strategizing to decide what you should be contributing each month. Making that decision is typically based on how aggressive you are about saving money for the future. Plus, it can also be dictated by what your employer is offering to match each year. That last part is important. That is because many companies and firms will match the money their employees put into their accounts. If you are lucky enough to work for an employer who is willing to match your contributions, be sure to take full advantage of that generosity. This is basically free money being given toward your retirement. For example, for every $75 you deposit, your employer will give you the same. There are usually restrictions in place with respect to contribution limits on an annual basis so you’ll need to be aware of what those are when you join up with a plan. It pays to know what your employer is willing to contribute. You can then base your contribution strategy on what you can receive under the plan. Consequently, while your company may be willing to contribute 10% to 20% of your pay based on what you contribute, you aren’t limited by these percentages. You may elect to fund your account at a higher percentage instead. You’ll only get the maximum your company allows from their end. However, if you need to save a substantial amount of money in a shorter period of time, it may be to your benefit to deposit more. Though, you will be limited by what the IRS allows each year. The agency does put a limit on what you can contribute to your account. There are other factors to think about within your personal situation. These include things like your age, when you started contributing, and how much you ultimately want to save. It’s about finding the right balance to satisfy all angles. Taking money out of your 401(k) has restrictions as well, as you must be 59 years and six months of age to start withdrawing from the account. Otherwise, you may incur penalties. Yet, if you are 55 years of age and are out of work or disabled, you would be exempt from the restrictions. 401(k) isn’t the only plan that you can use to save money for retirement. While it’s the typical choice for employees of public and private companies, not everyone works in this type of environment. There are plans that employees in other job positions can also take advantage of if they wish to opt into an employer plan. Anyone who works for a tax-exempt or non-profit entity will usually be given a 403(b). Government employees get a 457 plan. Federal civilian and uniformed public servant employees can get into a Thrift Savings Plan. These all operate in the same manner. Yet each one has varied limits on contributions from both employer and employee, vesting schedule determinations, and other specific differences. All of these depend on the type of plan you’re signing up with at your place of employment. Therefore, if your employer does not offer a 401(k), they might have one of these types of plans available to help you start saving for a comfortable retirement. 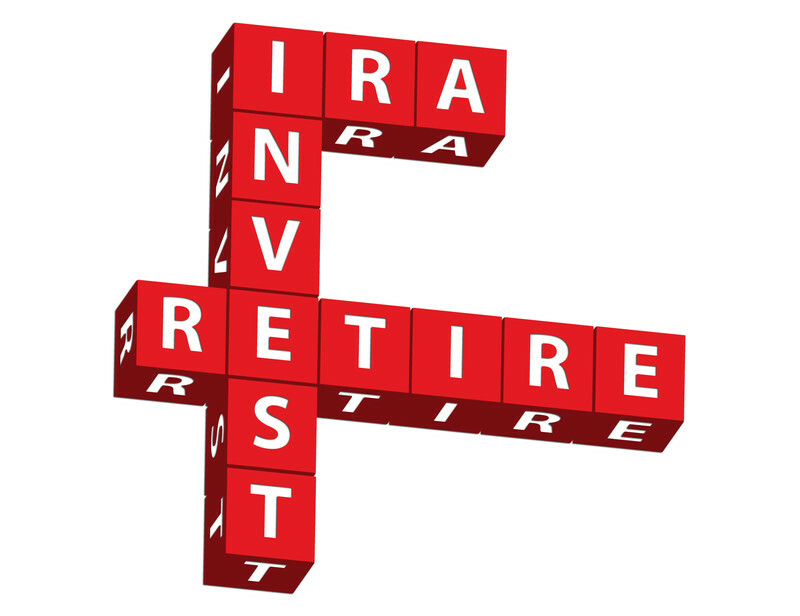 We previously mentioned IRAs as an alternative or additional savings method for putting away money toward your future. The difference between a 401(k) and an IRA or similar account is in the way that your money works for you when it’s placed into that account. The 401(k) plan helps your money grow and multiply by investing it into mutual funds. These are comprised of a variety of predetermined stocks, bonds, and securities. However, you don’t have much of a choice as to what those investments are within the plan. That is because your employer generally makes that decision with a financial adviser or consultant. 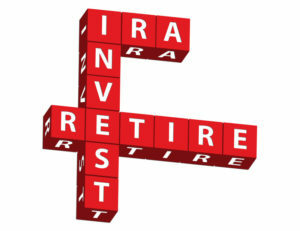 With an IRA, the choice is yours. You put your money into that account. In doing so, you select the types of investments that your money is allocated toward during the time it remains in the account. That might include stocks, bonds, and securities (much the same as with your 401(k) though perhaps different ones). It can also include index funds and any number of additional investments that are offered. You have more power over where your money is allocated. That is why many people who open a 401(k) also go with an IRA. This is a good choice for those of you who want to pursue socially responsible investing. There are also similar options called Roth IRAs, which work in a similar manner. However, they have different rules and regulations with respect to how your money is managed and invested, the minimum age at which you can start taking down withdrawals from your account, and certain laws regarding taxes and penalties. While you’re thinking about how to invest your money now, you should also consider saving in relation to the income you can expect to come in later on through Social Security. The minimum age to start accepting your payments is 62. Yet, you also have options for waiting to get that money. If you do, you will be well-rewarded for your patience. That’s because the government allows you to hold off on drawing down that money until the age of 70. Should you decide to delay your payments, you can receive up to 35% more on each month’s check. Eight years can be a long time to wait for money that is rightfully yours, but you stand to make a significant increase in that money after that time passes. The amount of each check that you would be entitled to, delayed payments or no, all depends on how much you put into the program from your payroll checks while you were working. Wait a little longer to take that money and your payments could be a lot more than if you started taking them at age 62 or even 65. If you decide to start taking your money before age 70, the amount you’ll be entitled to in each check will then become locked in for the length of your payments. Every year you delay your payments brings with it an incremental increase, all the way up to a possible 35% more at age 70. Let’s say you start taking Social Security at age 64. Whatever your checks are equal to at that age are what you will continue to receive until it runs out. The amount will not increase at age 65, even though it could have if you waited to start accepting your checks. Knowing this ahead of time can affect how you save when you are younger. That is because you could aim to have enough in the bank so you can wait until age 70. In turn, you will have an income at the maximum amount and still live comfortably during that eight-year delay. Retirement can be scary and confusing, but it doesn’t have to be as long as you take a measured approach to getting prepared. Saving shouldn’t be intimidating. You can reach your goals if you set them with confidence. Also, educate yourself on the many ways that exist to putting away enough money to retire comfortably. This guide is a good place to start and it should lead you in the right direction toward further research to ensure you have enough resources for a stable financial future.